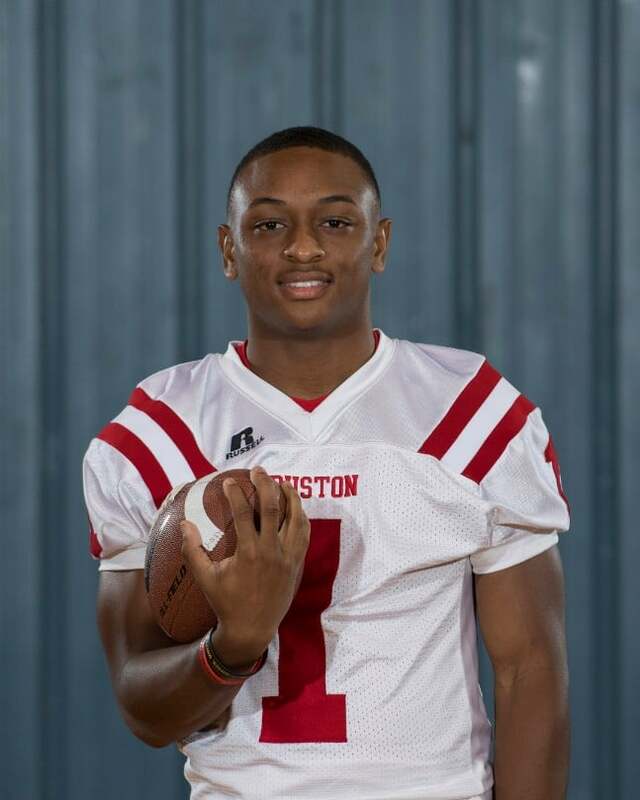 I had a chance to watch some Ruston football games, five in all, and was super impressed with a kid named Donald Johnson (Ruston High School). 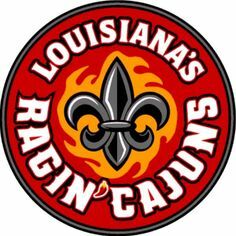 In space, Johnson was as good as any player in North Louisiana during the 2017 season. He has DI hips, 4.40/40 speed, and moves in the open field. 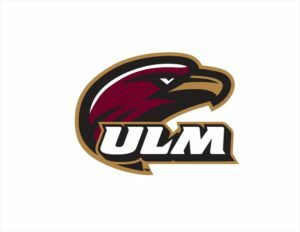 I think the kid is a Division I player and would have played for a Louisiana Tech or a ULM quickly because of his speed and moves. 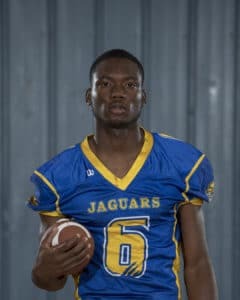 Johnson should compete right away in the Grambling offense as a slot wide receiver as well as a special teams contributor returning punts and kicks right away. 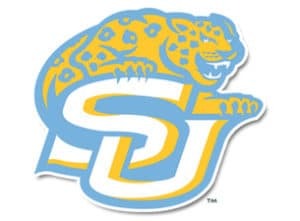 Sometimes, DI schools get too caught up in someone’s height and weight as he is 5-9, 160, but has a chance to be special right away in the SWAC Conference. 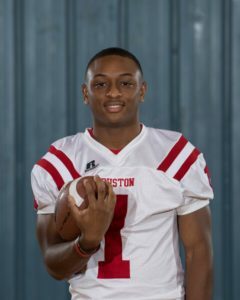 As Ruston’s main target in the receiving game, Johnson had 34 receptions for 654 yards and six touchdowns in 2017. 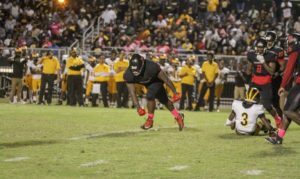 He will look to make an impact right away for the Grambling Tigers as the team will try and grab a conference championship for the third straight year and regain the HBCU National Championship from two years ago under Broderick Fobbs‘ leadership. 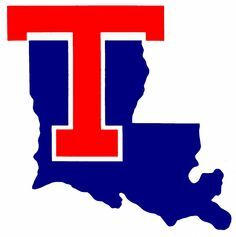 I will be the first one to say this and call Louisiana Tech Slot Wide Receiver U. Tech does a great job finding slot wide receivers who can run and play at the DI level. 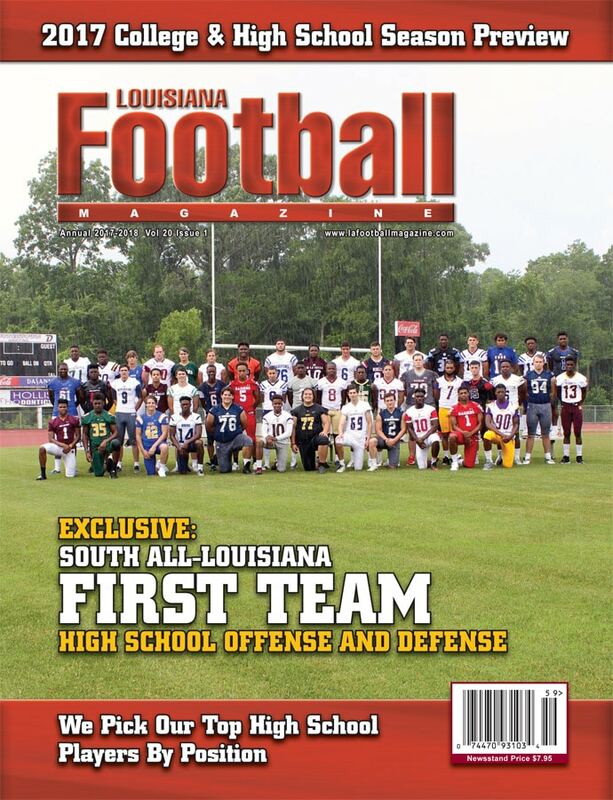 The four sleepers to me that are big time DI sleepers are slot wide receiver Tahj Magee (Franklinton High School) , CB Derek Turner (West Feliciana High School), who is 6-0, 190, Davon Harris (West Feliciana High School), who is 5-6, 165, and Wayne Toussant (Plaquemine High School). These four kids represent the fastest quartet signed by any Louisiana school including LSU. These kids are all big time DI players not just signees. Harris, Toussant, and Turner all have 4.4/40 speed. Magee is not far behind with a 4.45/40. I have watched film on 300 high schools, and I have been at 90 games as well as practices in person. 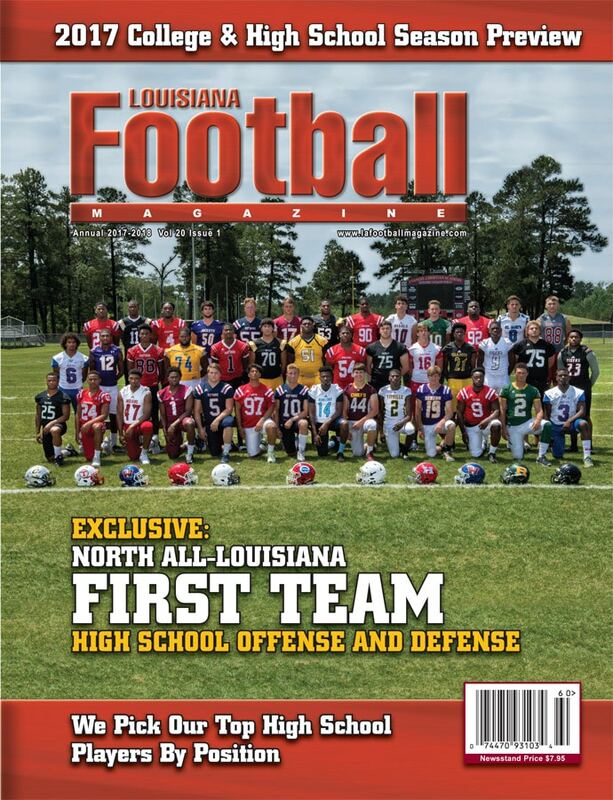 Let me tell you that Louisiana Tech signed three of the top four play makers in Louisiana. 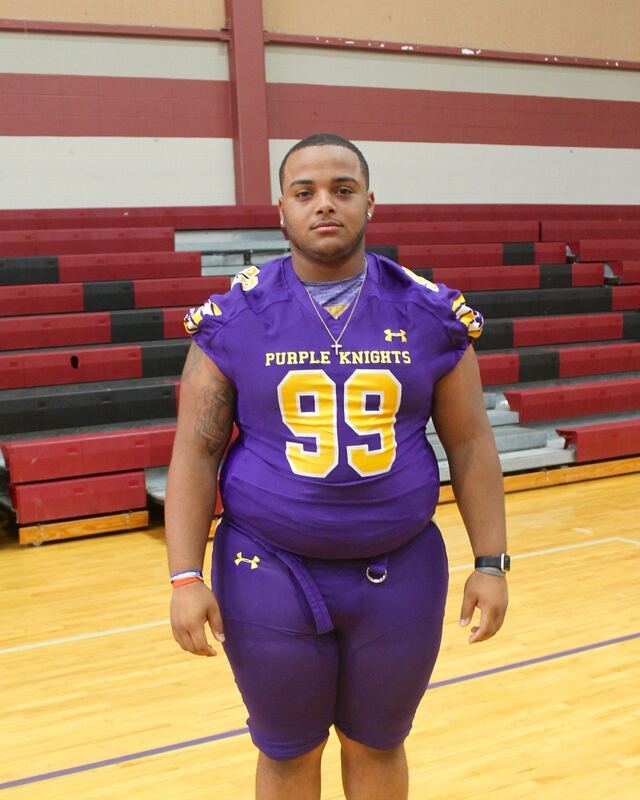 The one they did not get was Anthony “Pooka” Williams (Hahnville High School/Kansas signee). Magee and Turner were high school quarterbacks while Harris and Toussant were running backs as well as special team returners. There are actually as many as three big sleepers from the state of Louisiana that can come in right away and make a huge impact for the LSU Tigers as freshmen especially for the team’s highly paid defensive coordinator Dave Aranda. The Tigers will hope to get back to contending for SEC championships with these signees for the future under Head Coach Ed Orgeron. 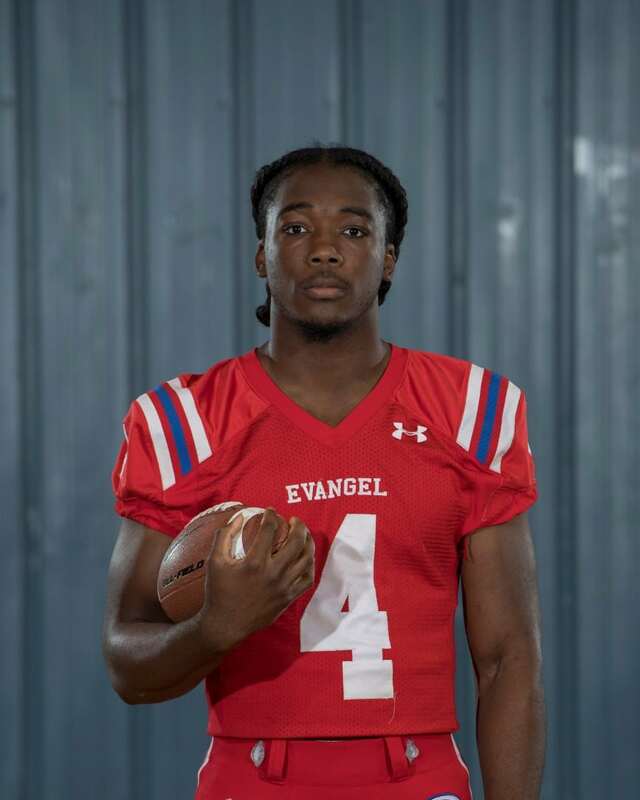 LB Micah Baskerville (Evangel Christian Academy), who is 6-2, 215, has stuff you cannot coach and that is the ability to read and react on each play. Baskerville runs a 4.5/40 and plays way bigger than his size. 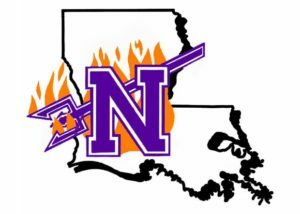 Baskerville will make a huge impact right away on special teams as a gunner and will provide added linebacker depth to help give All-American linebacker Devin White (North Webster/LSU) some rest. After watching Baskerville play in full games and in practice, he is going to be a great one and should have been ranked higher in the recruiting world. 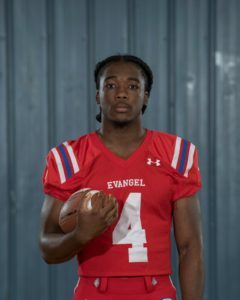 As a four star linebacker and high school All-American, Baskerville had 78 tackles, four sacks, and two interceptions leading to the Eagles to a Division I semi-final appearance. Baskerville looks to be another piece for LSU’s promising young linebacking core. 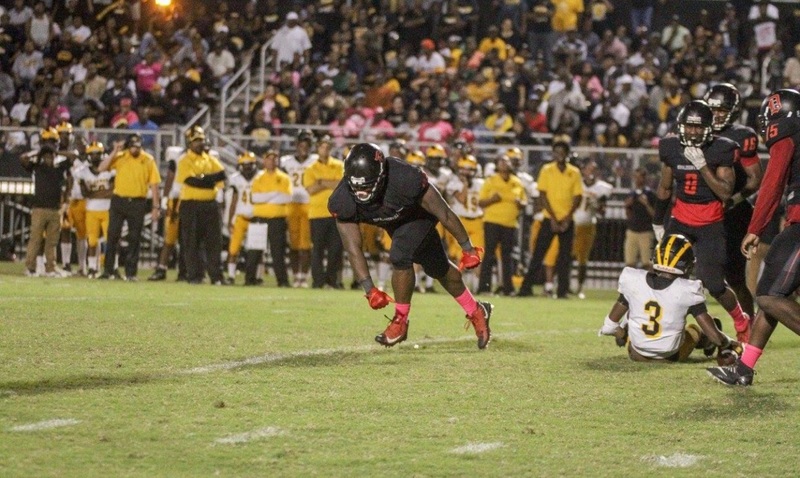 Dantrieze Scott , who is 6-5, 245 pounds, might be the biggest sleeper in the United States that was not ranked as a five star at Ferriday High School. In fact, Scott was only rated as a three star player. Scott has the God given talent off the edge with raw 4.6/40 speed. I saw Scott play in full games and what is most scary about this kid is once this kid gets stronger and fills out at 270 pounds or more without slowing down, he will be an All-SEC player. He also may rack up plenty of more conference and national awards in his future. This kid will come off the bench as a freshman and make an impact. In Scott’s senior year, he put up impressive stats including 101 total tackles, 49 tackles for loss, 21 quarterback hurries, 10 sacks, 2 interceptions, 8 passes defensed, 4 forced fumbles and 3 recovered. He also caught 19 balls for 441 yards and 10 total touchdowns on the offensive side of the ball. Coming into LSU as an “athlete”, it is most likely Scott will be a pass rushing specialist for defensive coordinator Dave Aranda lining up as an outside linebacker or as a defensive end. The third player, as a sleeper, to help right away is DT/DE Nelson Jenkins (Plaquemine High School), who is 6-3, 290. I was able to see Jenkins play over the last three years. In my opinion, Jenkins has more upside than current Miami Dolphins DT Davon Godchaux, who was a really good player for LSU as well as a former Plaquemine High School graduate like Jenkins. Jenkins has more power and is bigger at this stage than Godchaux. Nelson Jenkins moves really well for a kid pushing 300 pounds. Jenkins is athletic enough to play the defensive end position in the 3-4 defense that the Tigers run. Jenkins should have been ranked higher in recruiting as he was only a three star player. If you remember, Godchaux had to gain weight to play at defensive tackle as a freshman and he had to help right way for LSU. That is not the case with Jenkins as he is already there in size. 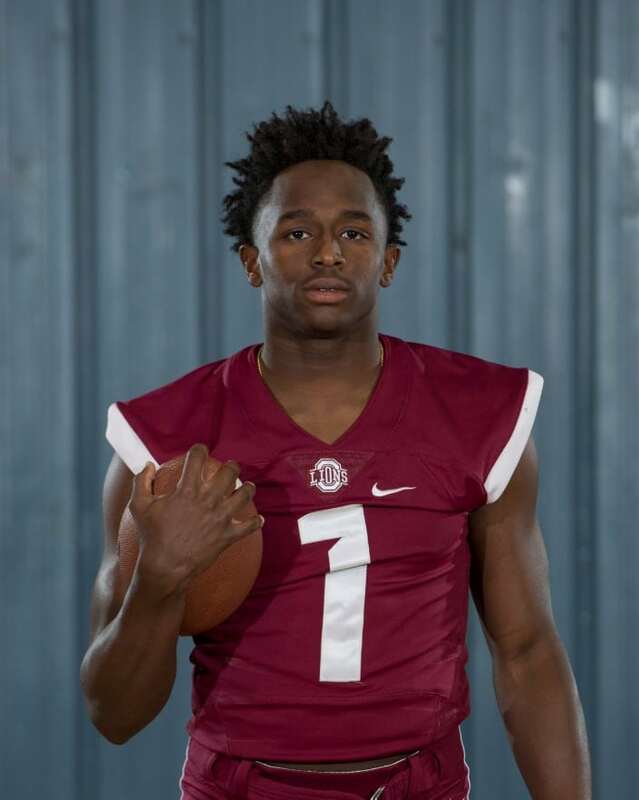 It will be interesting to see if Jenkins will be 100 percent for fall practice because of a knee injury he suffered in his senior year at Plaquemine, but he should be ready to go for the Tigers by that time. In my opinion, Trent Winbush (Rayne High School), who is 6-0, 195, was the biggest steal from Louisiana and is every bit of a big time DI player. As a senior, Winbush ran for 2,534 yards and 32 touchdowns while averaging over 11 yards per carry. He was also the top player on their defense. Winbush has a chance to be special. I saw him in person his senior year. He has great instincts as a strong safety and is an incredible, determined player with the hips, toughness, along with the speed as a running back. The only thing I can think of was a reason why Winbush does not get talked about as much as the other star players around the state was that not a lot of colleges saw this kid play in person. Otherwise, you would know he is special by now. The Cowboys signed an immediate impact player with football skills and toughness. The only question is where do you play him. Do you play him at running back or at strong safety? Either way, he can be an All-Conference player. 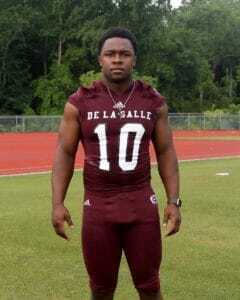 I also think that he is good enough to play at LSU. Anytime you can sign an under the radar running back prospect who is a legit DI player, a very powerful runner, and runs with speed, you have a program changer in the class. That game changer for the Rebels is none other than Julien Gums (De La Salle High School), who is 5-10, 225 with 4.59/40 speed. Gums has the power for a DI back along with deceptive speed in the open field. 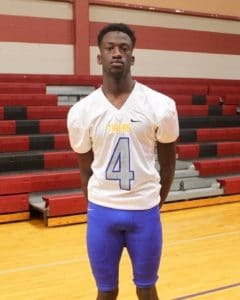 The reason Gums was under the radar was because colleges were not sure what position to sign him at since he played quarterback in high school where he had an incredible career leading his team to their first state championship appearance since the 1960’s and being named the Class 3A Offensive Player of the Year. He saved his last year for the best passing for 1,200 yards and 13 touchdowns while running for 1,190 yards and 15 more touchdowns. Gums also runs with anger meaning that he finishes runs by taking on hits and sometimes delivering them. Gums has a chance to come in and be that guy right away. He can really do damage in the Southland Conference right away for a team that is on the rise after making the FCS playoffs last season under Tim Rebowe’s leadership. 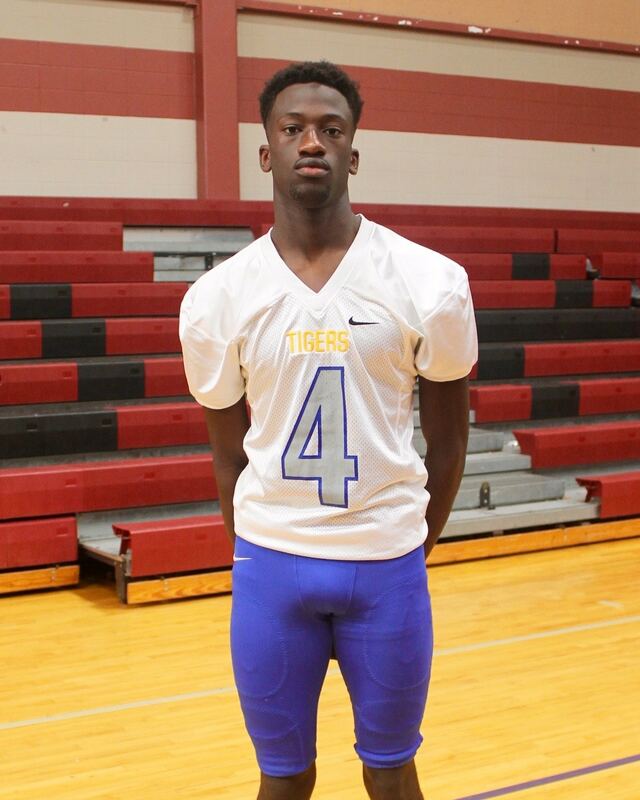 Cedric Anderson Jr. (East Feliciana High School) is 6-4, 185 and has 4.5/40 speed. Anderson is a coach’s son with a high football IQ, but at the same time, has big time skills. I saw this kid play in three games his senior year and he is as good as any safety coming out in the 2018 class. Anderson is a legit DI impact recruit with toughness, speed, vertical jumping ability, and has great hands. He is also a leader with off the chart grades in classroom posting over a 4.0 GPA. You know that you have a good problem when your only worry is where to play him because as a wide receiver and as a free safety, he was big time. Anderson started at the same position on both sides of the football throughout his senior year. The great news for Demon fans is this kid plays faster than his 4.5/40 speed indicates. This is a big time get for first year Northwestern State Head Coach Brad Laird. 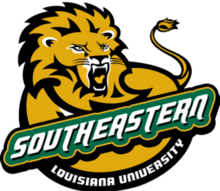 One of the toughest positions to recruit for a Southland Conference team would be defensive tackles that can play multiple techniques and come in to play right away. The Lions stole one away from the big DI guys in NG/DT Dante Carter (St. Augustine High School). At 6-0, 330, Carter moves like he is 250 and gives high effort. That is something you do not normally see every day from a kid that is over 300 pounds. He is naturally strong and once he hits the college weight room, he will get stronger. Carter has a chance to me to be special. I saw this kid give a lot of teams problems in the Catholic League against schools like Jesuit, Brother Martin, Holy Cross as well as rival New Orleans powers McDonogh 35 and Edna Karr High School. 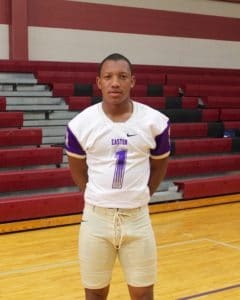 Carter has had a dominant high school football career racking up awards such as being named the District Defensive MVP, All-State, All-Metro on two occasions, and All-District on two separate occasions. Hopefully, Carter can be a dominant force for the Lions’ front seven under first year Head Coach Frank Scelfo. Southern lost a key number of play makers from the 2017 team. The team needed a big play maker to come in and keep the skill position group deep for the Jaguars as well as be an impact performer on special teams. For me, the big time player that Southern signed in their recruiting class is Gary Young (Carver High School) from New Orleans. Young can really help the team right away in the special teams department with his 4.4/40 speed. He can return punts or kickoffs and will challenge the older players right away as a big play slot wide receiver in the Jaguars’ offense. Young has great hands as well as the ability to make plays in the open field. I thought he was a DI player with his upside to be an immediate performer somewhere on the field right away. I saw this kid play a few times and he can make things happen. 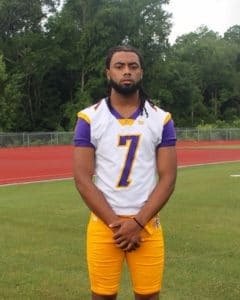 Just to show what type of player Head Coach Dawson Odums and the rest of the Southern team is getting, Young was the leading receiver in the New Orleans metro area as a junior and then contributed to the Rams as more of an all-around running back his senior season. In my opinion, Tulane had their best signing class of Louisiana natives in a few years as far as quality players that can come in make a impact and one day play in the NFL. 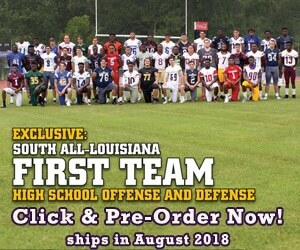 CB Damien Tate Jr. (Warren Easton High School), DT Jamiran James (De La Salle High School), who is 6-1, 300, WR Jorien Vallien (Alexandria High School), who is 6-4, 185, SS Macon Clark (Destrehan High School), who is 6-0, 185, and DT Davon Wright (Donaldsonville High School), who is 6-1, 290, are the big time signees for the Green Wave. Damien Tate Jr. was mostly a FS/WR for Warren Easton with 4.4/40 speed at 5-9, 175 pounds. He was also a big time play maker on special teams too during his high school career. Jamiran James from De La Salle is a quality quick, strong defensive tackle that can come in and play both defensive tackle spots. 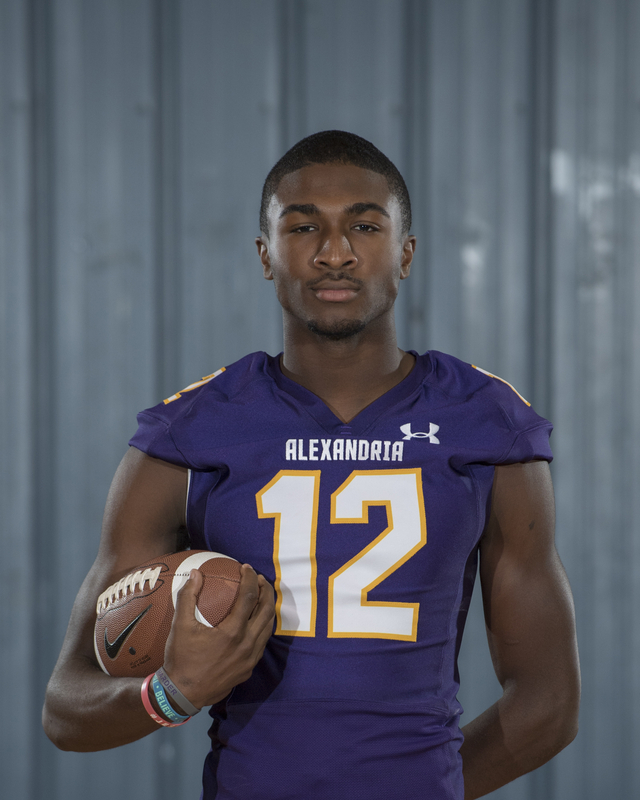 Jorien Vallien blossomed at Alexandria High School as he finished his career with 158 catches for 2,635 yards and 30 touchdowns. He has the hands as well as the 4.45/40 speed to make a big impact as a freshman. Destrehan High School SS Macon Clark is a big time hitter. I got the chance to see him in person and he has the ability to start right away. 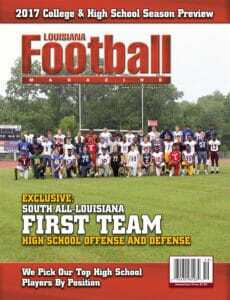 Finally, there is DT Davon Wright from Donaldsonville High School. He is quick and strong enough to play right away at either defensive tackle spot. In his senior season, he had 61 tackles, 20 tackles for loss, 3 sacks, 4 hurries, and 1 forced fumble. 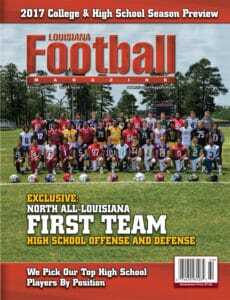 I thought all of these kids were good enough to play for not just a DI school like Tulane, but for any Power Five conference team in the United States. I saw all these kids play and they have big time talent. The future is indeed bright for Head Coach Willie Fritz and the Tulane Green Wave. 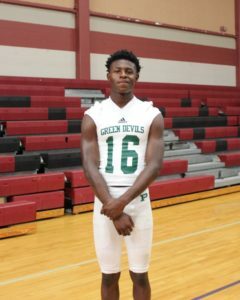 In my opinion, Percy Butler (Plaquemine High School), who is 6-1, 175 and runs a 4.45/40, was the big in- state signee for the Ragin’ Cajuns in a late signing group because of the late head coaching hire in Billy Napier and staff. I think Butler is a SEC type corner back that could move to strong safety too because he of his aggressiveness. I love defensive backs that are fast and tough. Those type of players are hard to find. Butler blossomed in the 2017 season and the stars where aligned when I watched this kid play in two games in 2017. In his senior season, Butler had 91 total tackles including 62 solo tackles, three tackles for loss, three forced fumbles, two fumble recoveries, and eight pass break ups. I think Butler will have a chance at the NFL once he is done at ULL. Percy Butler has a chance to be in the 200 pound range when he is done too. He is long enough to carry a lot of weight for a corner back or strong safety. 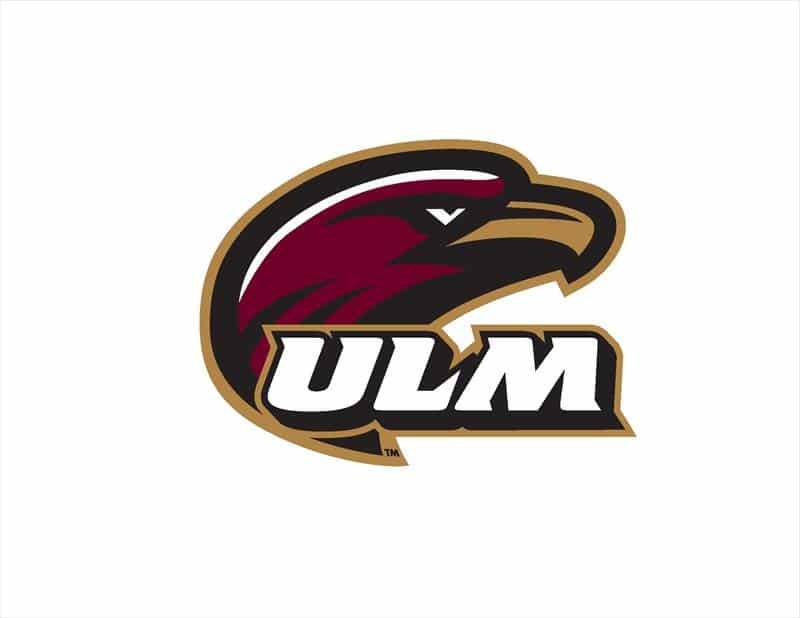 ULM Head Coach Matt Viator hit home runs with signing players in the state of Louisiana such as DE Myles Cole (Evangel Christian Academy), who is 6-5, 235, Safety Jabari Johnson (Ouachita Parish High School), who is 6-1, 195, and ATH Kevin Jones from Madison High School. Myles Cole showed me big time effort and great feet. He will blossom when he fills out. 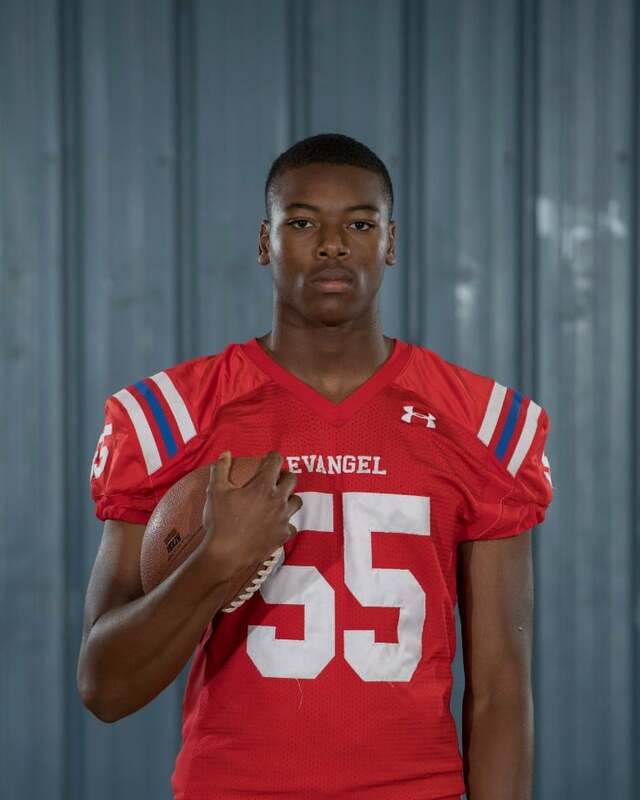 The two time 1st Team All-District defensive end for the Eagles had 46 total tackles, 12 tackles for loss, and five sacks in 2017. 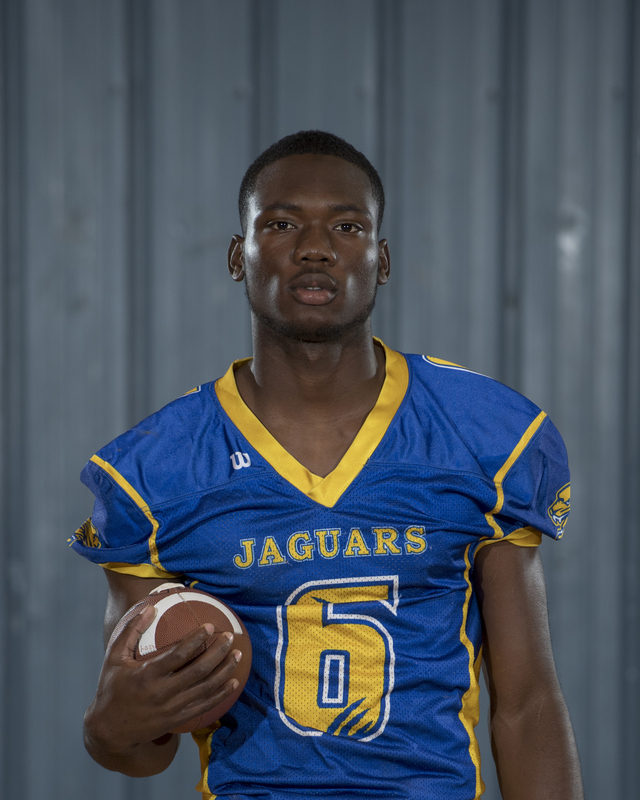 Jabari Johnson was the quarterback for Ouachita Parish High School this season. I saw him in person and he is big time. Johnson is a SEC type safety with 4.45 speed and leadership. Johnson was the best player for the Lions on both sides of the football as he had 2,390 yards and 32 touchdowns on offense while having 45 tackles, four pass breakups, and two interceptions on defense. Kevin Jones played on a team with barely 25 players and he started on offense and defense for four years. Jones has a NFL career if he keeps progressing. The question is where do you play Jones as he can play free safety, outside linebacker, or wide receiver. Jones stands a legit 6-2, 210 pounds and runs in the 4.45 range. He has big time skills and again showed high effort every time I saw him play to go along with his athletic ability. Jones will go down as the best football player in Madison football history accounting for 6,000 total yards and 80 touchdowns on offense while having 200 tackles and 13 interceptions on defense.